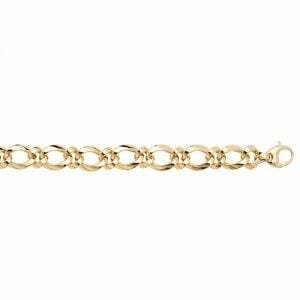 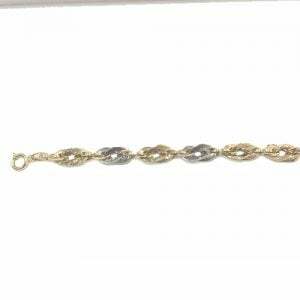 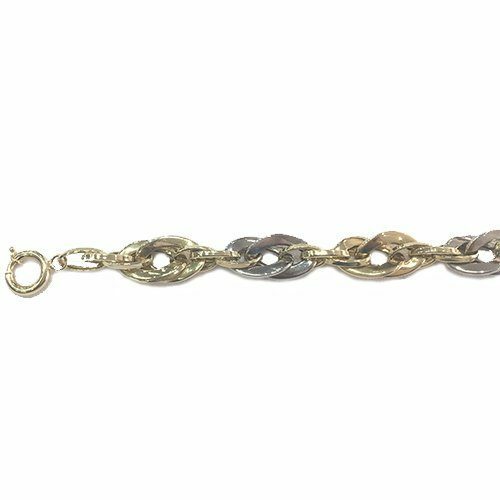 Fancy Two Toned bracelet in 14k yellow & white gold, 8 mm wide and 8 inches long. 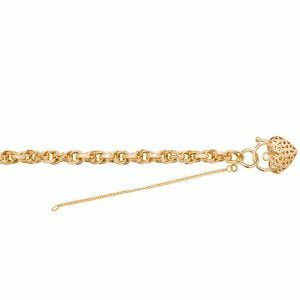 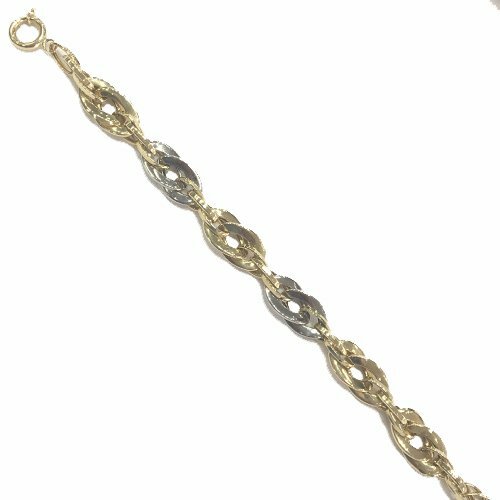 The bracelet is Italian made with fancy design for a unique touch. 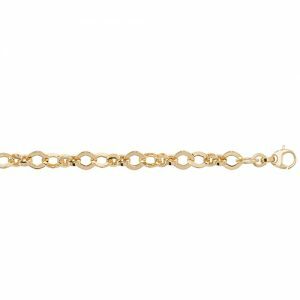 The link is fully hallmarked in Birminghams assay office. 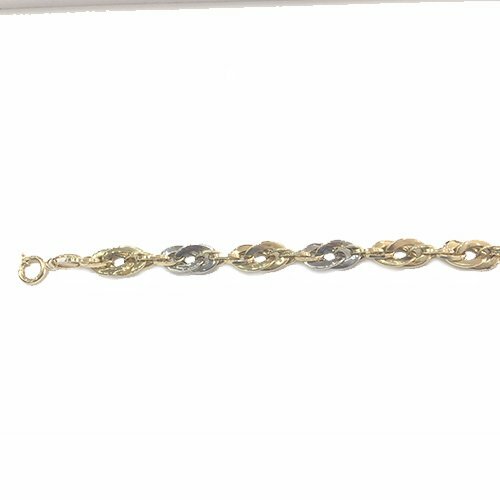 Fancy Two Toned bracelet in 14k yellow & white gold, 11.50 mm wide and 8 inches long. 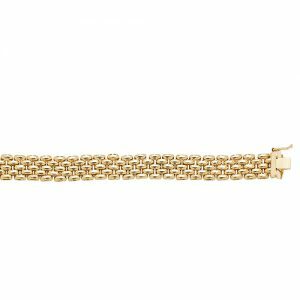 The bracelet is Italian made with fancy design for a unique touch. 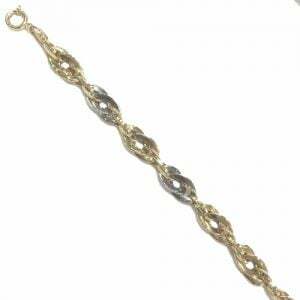 The link is fully hallmarked in Birminghams assay office.